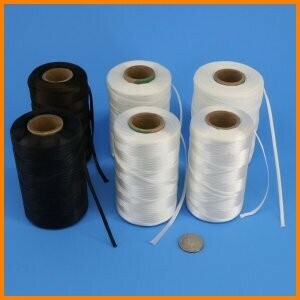 Lacing tape/cord is used to bundle and organize wires, cables, hoses and tubing. Available in Nylon®, Polyester (Dacron®), PTFE (Teflon®), Fiberglass and Nomex®. These lacing tapes meet A-A-52080 Type I, A-A-52081 Type II, A-A-52082 Type III, A-A-52083 Type IV, A-A-52084 Type V and MIL-T-43435.